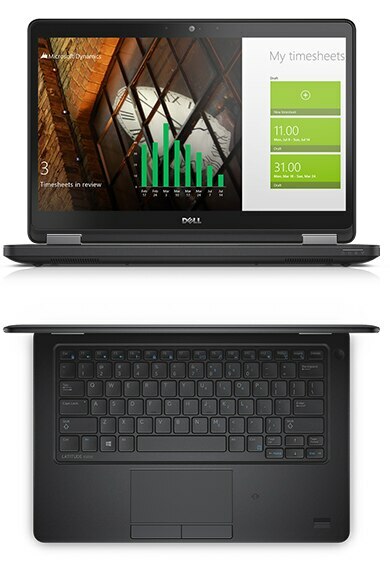 Thin and light for mobile productivity: Introducing Dell’s thinnest and lightest mainstream laptop yet. With up to 13.5 hours of battery life with the optional 4-cell battery, you can stay productive wherever your work takes you. Premium design for a premium experience: Experience impressive beauty and durability with magnesium alloy LCD display options, and optional touch screen displays are clad with scratch-resistant Corning® Gorilla® glass NBT. Durability you can depend on: Your Latitude 12 5000 Series is built to last, with spill-proof keyboard and vigorous anodized hinge solution, plus an optional structure-enhanced Magnesium display cover. Outstanding reliability you can trust: More durable than its predecessor, and part of the most durable laptop family, the new Latitude 12 5000 Series undergoes extensive testing to ensure it can survive your everyday workday, and features premium materials like enhanced hinge structure, optional magnesium alloy and optional touch displays clad with Corning® Gorilla® Glass NBT for 10x scratch resistance. Enjoy a consistent experience with E-Family docking and common power adapters for the 6th generation of Latitude. Plus, they’re backed by enterprise-level service and support for peace of mind. ProSupport Plus, Dell’s most complete* support service for PCs and tablets*, is the only support service that can prevent issues before they occur. Dell’s SupportAssist will detect when a hard drive or battery is about to fail, automatically create a case for resolution and notify the customer that the new hardware is on its way. This end to end support service also includes 24x7 priority access to ProSupport engineers who provide help for hardware and software challenges, repair for devices that are accidentally damaged and the ability to keep a hard drive after replacement allowing you to ensure your data is stays secure. *When necessary, Dell will provide onsite*support to ensure repairs are done quickly and conveniently. ProSupport Plus provides all the support essentials that will reduce downtime automatically.